If the Garden of Eden was anything like this Cocktail - this is paradise in a glass - a Cocktail Glass. Eden is an amalgam of delicate and intricate flavours and textures making this Cocktail interesting and a real joy to savour. Using around 1/3rd shot of Gin does not obscure or drown the other flavours, in fact the Gin enhances the overall effect adding a touch more than a hint of alcohol but definiteley not masking the flavours. 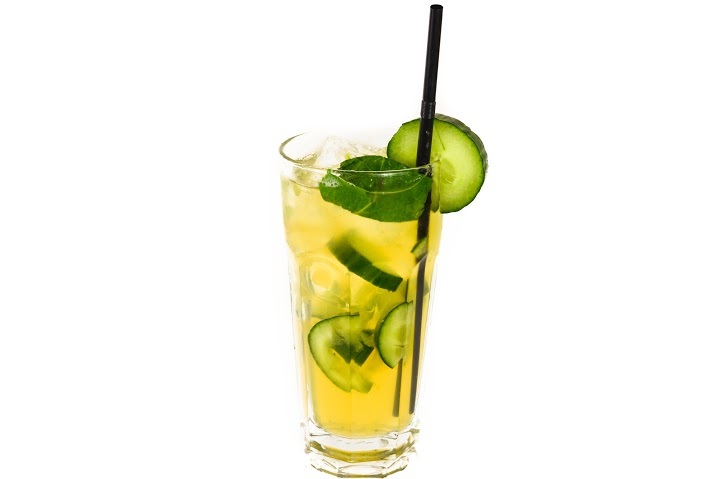 The cucumber and apple juice contribute to the freshness of the Cocktail with the Cherry bitters and rose water adding a slightly different dimension to after taste. This Cocktail is and has been a winner for many years. Add all ingredients to a Cocktail Shaker or Boston Can. Shake. Stain into a Tall Cooler Cocktail Glass.